The European Commission is planing to send a formal warning to China that it is uready to levy trade duties against telecoms equipment makers Huawei Technologies Co Ltd and ZTE Corp over what it says are illegal subsidies, people close to the matter said. Karel De Gucht the EU trade chief is set to win support from the bloc’s executive on Wednesday to send the warning letter and show China’s new president, Xi Jinping, that Brussels is serious about countering what it says is state support. “We want to send a warning to the Chinese, a letter of intent that if they don’t change their practices, there will be duties,” said one person involved, adding that De Gucht had the full backing of European Commission President Jose Manuel Barroso. Huawei, the world’s second-largest telecom equipment maker behind Sweden’s Ericsson, and fifth-biggest vendor ZTE say their operations conform with international trading regulations. The EU decision marks an intensification of efforts to guard against what Brussels says is dumping by China, the EU’s second-largest trading partner. From June, the Commission will also levy duties on billions of dollars of solar panels from China, EU officials have told Reuters. Huawei was a little known telecom equipment firm less than a decade ago but now, along with its smaller rival ZTE, it holds almost a quarter of the European market. That poses a security risk, the Commission says, because European industries ranging from healthcare to water utilities are becoming reliant on cheaper Chinese wireless technology. An internal EU report last year recommended that the 27-member bloc should take action against Chinese telecoms equipment makers as their increasing dominance of mobile networks made them a threat to security as well as to home-grown companies. Chinese telecom equipment makers receive export rebates from the Chinese government and are also able to sell their equipment at lower prices as China’s state-run policy banks usually provide loans for network infrastructure in emerging markets, industry sources said. However, Huawei and ZTE argue that European governments also provide some form of incentives for their own telecom equipment makers, they said. A Huawei spokeswoman in Brussels declined to comment on the move, but the company denies receiving unfair subsidies. It says its advantages are due to low-cost manufacturing and that its products are secure. ZTE said its operations conform with trading regulations of the World Trade Organization and local markets, and it is also committed to safeguarding the interests of China and Europe. “We are confident that our practices are in line with regulations in China and other markets,” said ZTE spokesman David Dai Shu. Huawei derives more than a third of its revenues from Europe, Middle East and Africa, while ZTE gets around a quarter of its revenues from Europe, the Americas and Oceania markets, company data showed. No further breakdown was available. “There is probably slightly more impact on Huawei as it has a larger market share in Europe compared to ZTE. Some of ZTE’s projects in Europe aren’t making money anyway,” said Yang Haofan, a telecom analyst from Guotai Junan Securities. “As for European vendors, they face getting fewer contracts for their bids in China’s 4G market if the EU does go ahead with its sanctions,” Yang said in Shanghai by telephone. De Gucht told Reuters in February there were serious concerns about China’s growing presence in mobile telecoms networks, noting that the United States and Australia had effectively shut Huawei out of their markets over security concerns. Last year, Germany excluded Huawei from supplying the infrastructure for a national academic research network. But European manufacturers Ericsson, Alcatel-Lucent and Nokia Siemens Networks fear retaliation in China if they push to launch an anti-subsidy case, so the Commission has been collecting evidence on Huawei and ZTE with a view to launching a case on its own initiative. Division between EU countries over the telecoms issue meant De Gucht has trodden cautiously. 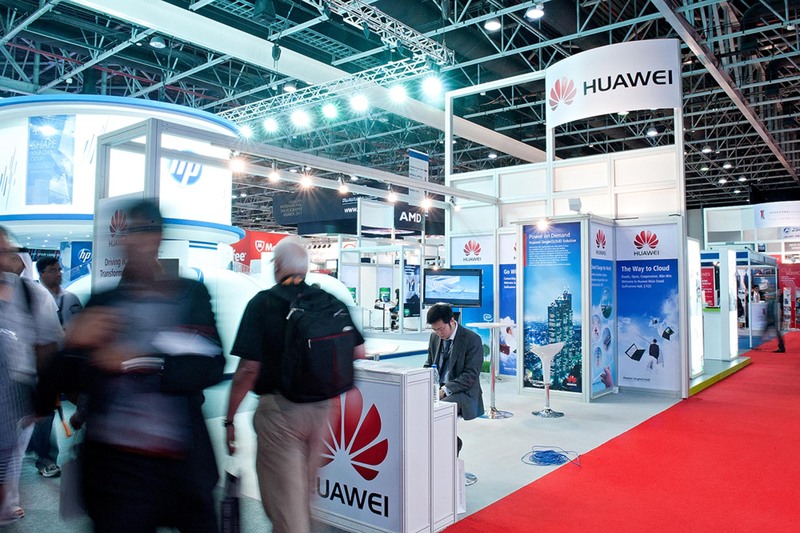 Britain and the Netherlands have embraced Huawei as a major job provider, while France and Italy have been backing De Gucht on going ahead with sanctions. Officials say they now have proof of Chinese subsidies. “This is a political decision tomorrow,” said another person briefed on the Commission’s thinking. “It’s basically saying, we have all the evidence we need, we don’t need to launch an investigation,” the person said. The Huawei spokeswoman noted that the company had offered several times to meet the European Commission but was rebuffed. “We are open to talking with stakeholders. Because there are allegations, there are misunderstandings and misperceptions, that’s why we are always keen to discuss with all the stakeholders,” Tina Tsai said.